The Lambretta was undoubtedly one of the most popular means of transport of the Fifties and Sixties. A valid alternative to the car, it was a loyal travelling companion for hundreds of thousands of Italian families, who had the good fortune to ride it for work or pleasure or both. Together with the Vespa, the Lambretta monopolised the Italian scooter market and was able to conquer that position due to its original technical characteristics and its exceptionally modern design. 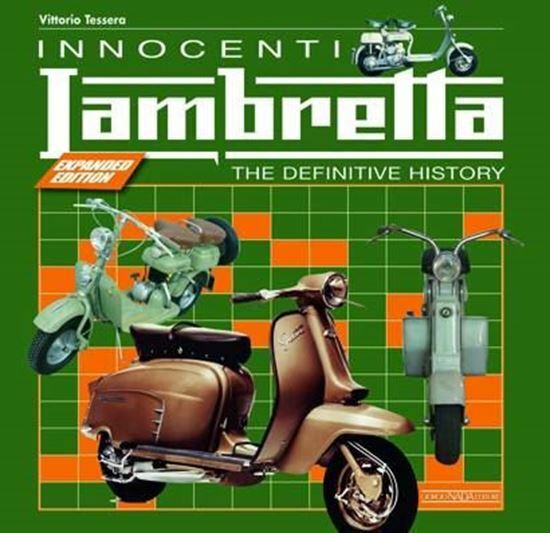 This is now the third edition of the “Innocenti Lambretta” book by Vittorio Tessera, expanded with all-colour photographs reproducing rare advertising of the period, the manufacturer’s brochures and even film posters of the Lambretta, which was the legendary, unforgettable and unquestioned protagonist in its golden years.